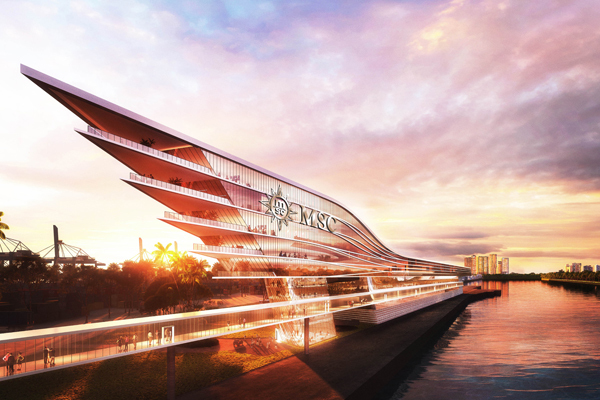 MSC Cruises has unveiled the details of a new highly-innovative cruise terminal at PortMiami that will support its expanding presence in North America and in the Caribbean in particular. As per the terms of the agreement, which has now received approval from the Miami-Dade Board of County Commissioners, MSC Cruises will design, construct, operate and maintain a large building that hosts two cruise terminals (AA and AAA) as well as two berths. 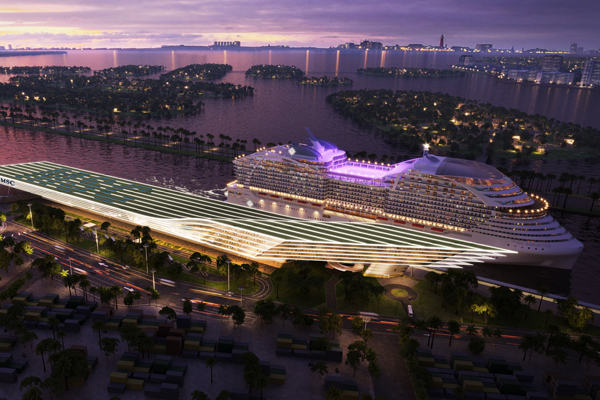 Designed by the architecture firm Arquitectonica, MSC Cruises’ exclusive new PortMiami terminals will be capable of hosting two mega cruise ships at the same time, allowing the company to conduct two turnaround operations simultaneously, handling up to 28,000 passenger movements per day. Currently, MSC Cruises operates four vessels out of PortMiami — MSC Seaside and MSC Armonia year-round; MSC Divina seasonally; and MSC Meraviglia, which will join the ships sailing from Miami this fall, seasonally. 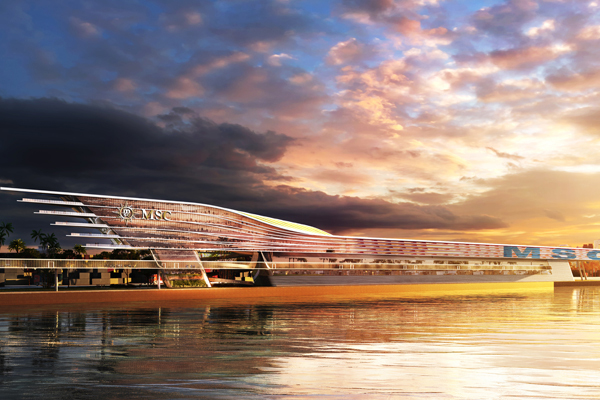 With the new cruise facilities, MSC Cruises will bring a total 1 million guests through PortMiami each year.